O.K. you all. We all know this week's theme was not "Light It Up" with a Swarovski crystal chandelier, but rather was stated by Nathan -- it was, "Martha Martha Martha! Martha Martha Martha!" 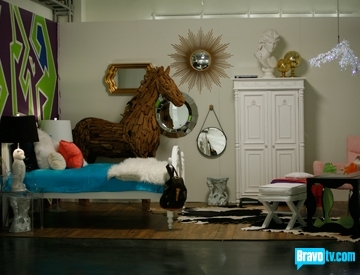 The Pop Design challenge was to style a room using Jonathan Adler's products. I could do this one in my sleep, as I want at least half of his collection and I worship him. I was really disappointed in the result of this challenge, as I had a favorite who was not the winner. However, my favorite moment was when India called Jonathan "short." 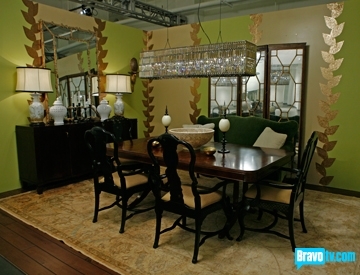 As for the rooms, what did you think? In my honest opinion, Nathan's story made me laugh. 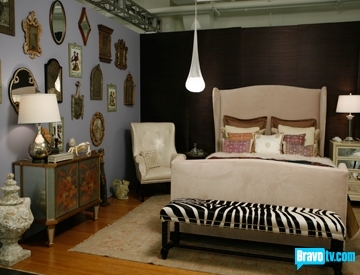 I was watching this cutesy show called "Priveleged" Tuesday night, and I was in awe of how eclectic and insane the rich sisters' room was. Nathan's seemed to be like that, but as far as the line between eclectic and crackhead, I thought it was more crackhead and it did not work for me. 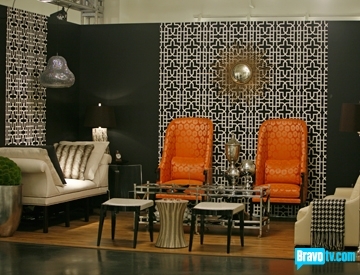 Preston, surprise surprise, hold onto your seats, decided to be inspired by "a boutique hotel." 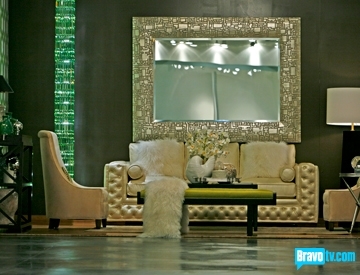 Has he ever NOT been inspired by a boutique hotel? It was like Kelly Wearstler on a budget. Enough from me: Tonight was a shocking outcome. What did you think about how it went down? Even if you dislike Kelly, can you admit that you missed her this week? What is there to dish about when there isn't a Kelly outfit to discuss? If you do not watch this show please get involved in this discussion anyway... You can view the 'finished' rooms this week above and let us know your impression of them.